This is still and amazing film. This is the point in the 80s where we get a lot of movies about Vietnam (Platoon in ’86, and for ’87 you also have Good Morning, Vietnam and Hamburger Hill), and this is probably my favorite. 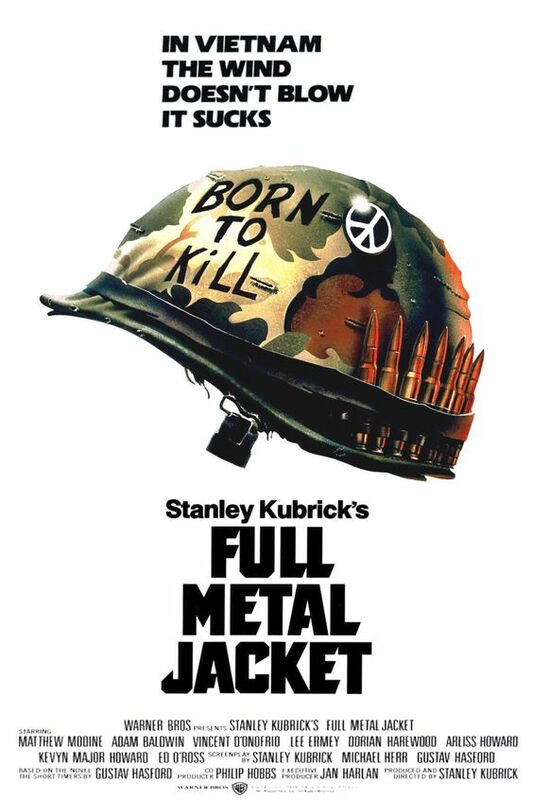 It still feels like you have two films here, the first half at the boot camp, with the unforgettable climax, and then a second half in Vietnam, with some inspired shots. The one thing that I find weak is the narration by Matthew Modine — which is strange, because I find his performance itself to be fine (if a bit weird). Great music picks too, and I forgot that Kubrick uses “Paint it Black,” which ended up being the opening theme for the Tour of Duty TV series, which I really liked back in the day.